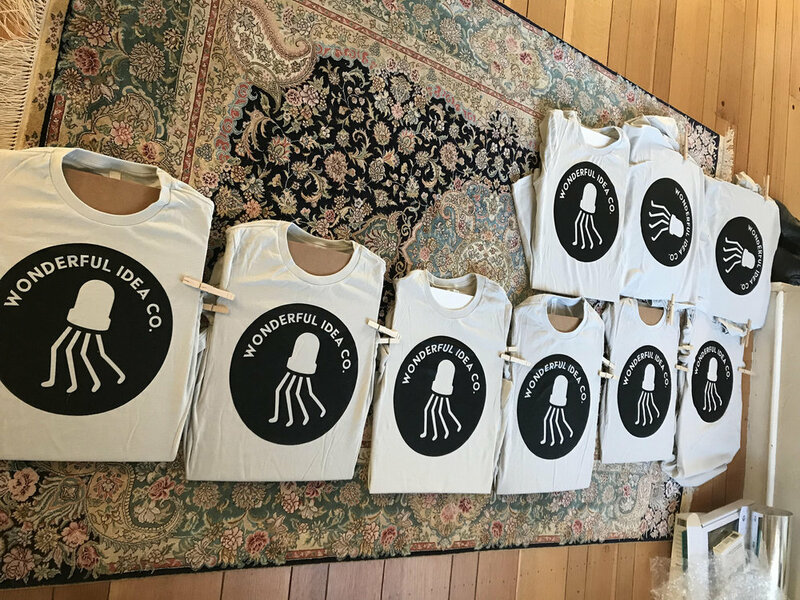 Screen Printing WICO T-Shirts — Wonderful Idea Co.
Over the past several months, we've been messing around with fabricating our little tri-color LED logo using different tools and materials. One of the most fun experiments along these lines was testing new ideas around screen printing t-shirts for friends and volunteers. We made the first round for Bay Area Maker Faire in May! It was a great chance to test out our silhouette vinyl cutter to create a sticker of the design and attach it to the screen. It was a nice way to combine of traditional and digital tools. We did two passes on each shirt. First we printed out the background in black and then we added the little colored LED in either neon/forest green or purple. It was a little tricky to line up the image, but really amazing how detailed designs made with the vinyl cutter can get. 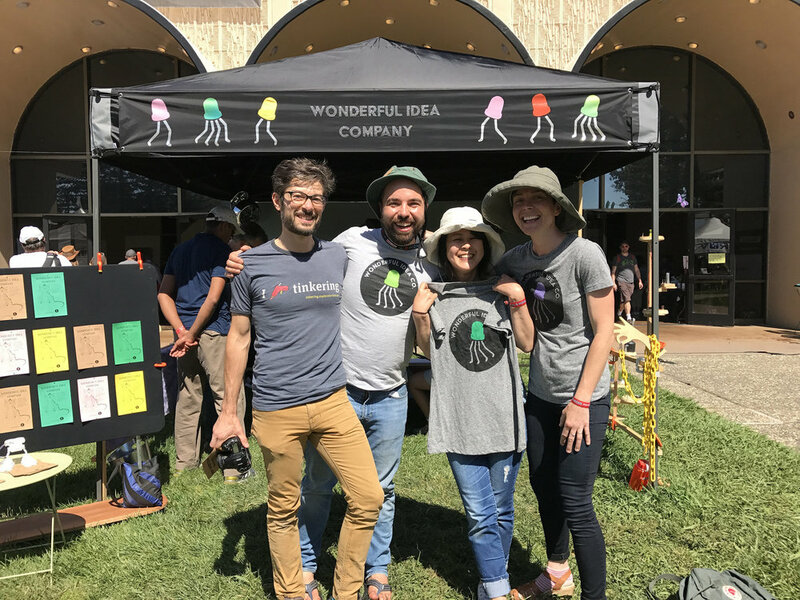 It was great to have an easily identifiable and homemade apparel for the maker faire volunteers, although I think we still have a ways to go before we can approach the stylishness of the venerable "I (hot glue) Tinkering" shirt. 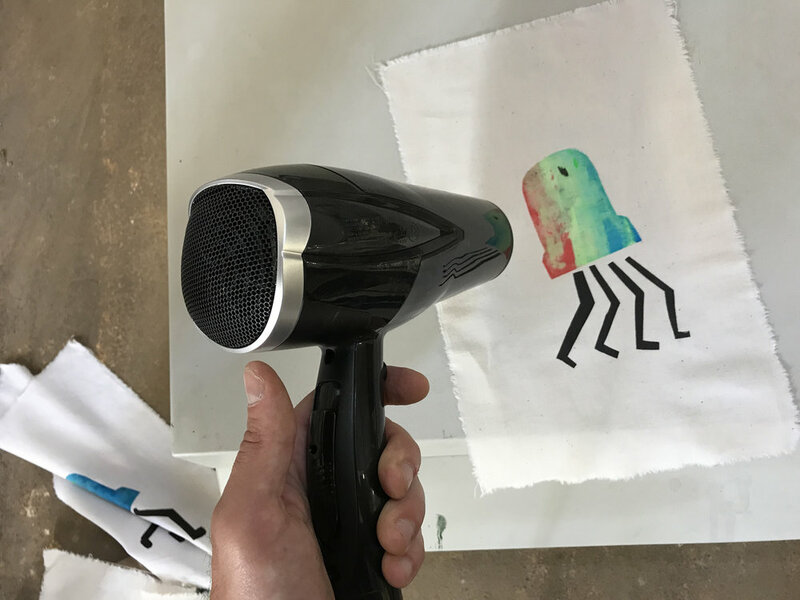 A couple months after Maker Faire, I had the chance to attend the e-textile summer camp program in France, where I signed up for an experimental screen printing workshop. The workshops leaders introduced heat sensitive ink and different techniques for combining multiple colors. Since our little LED logo is a color changing LED, this seemed like a perfect fit! In December, we finally got back to try out few more multi-colored designs for the second batch of shirts. It was really fun to experiment with different color combinations. It seemed that the lighter colors made more smooth blends, but each version looked emminenetly waearble. 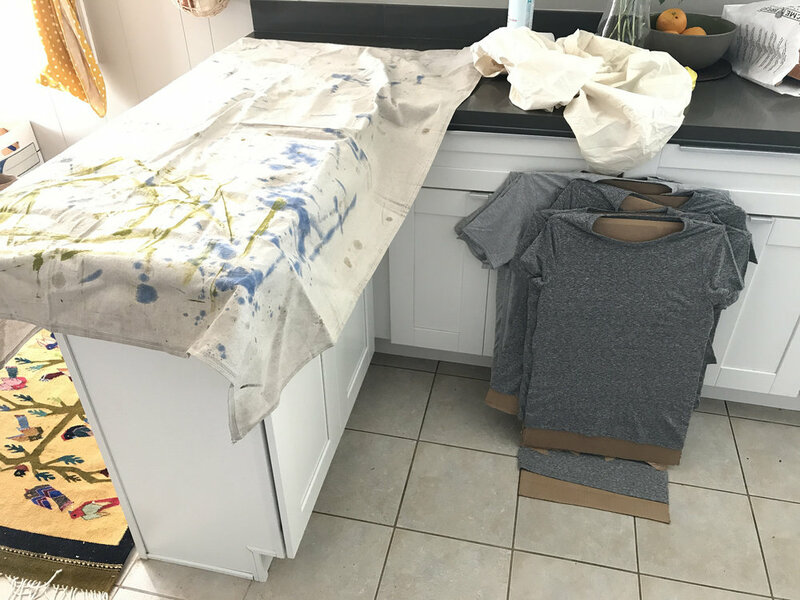 We're looking forward to more experiments creating shirts and this experience may also lead to public workshops or events where tinkerers can experiment with new paints and inks, learn artistic techniques, and combine high and low technologies.